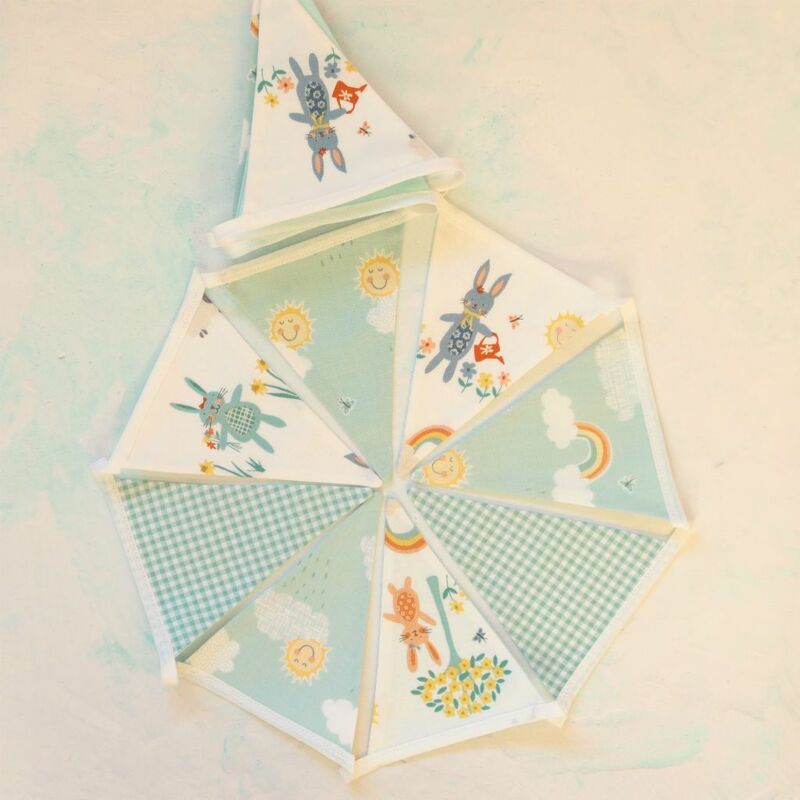 Create your own fantasy story with this beautiful bunting featuring rabbits and rainbows. The key characters – rabbits appear on five pennants in various poses. A further five pennants show sun, fluffy clouds, rain clouds and finally a rainbow; capturing perfectly the changeable British weather. Lastly there are four green gingham pennants providing the perfect colour match. 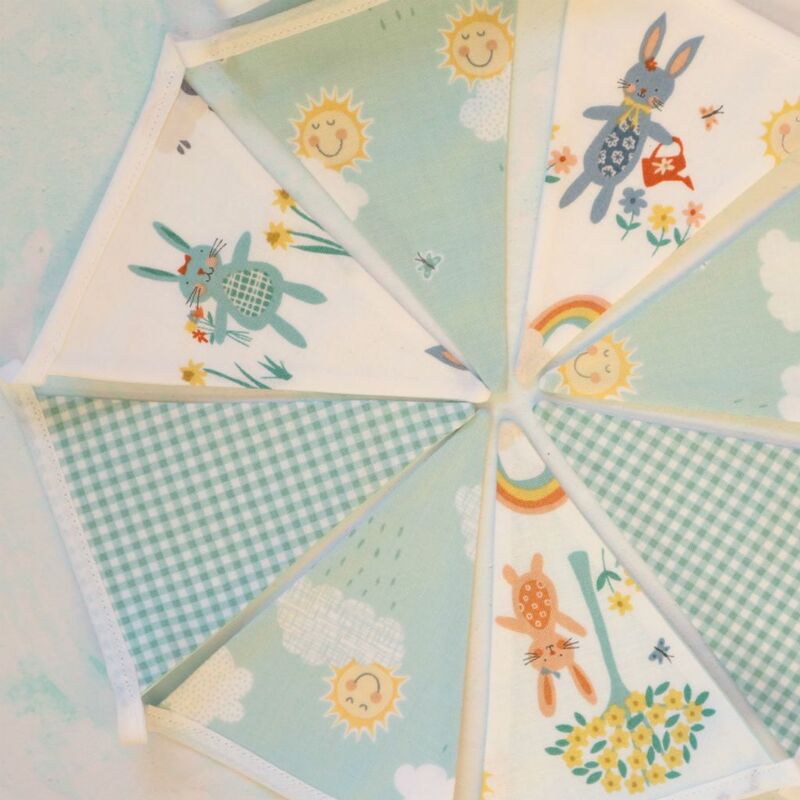 Together they create this joyous bunting and allow you to tell your own story. The reverse of the pennants are either white or light green fabric. 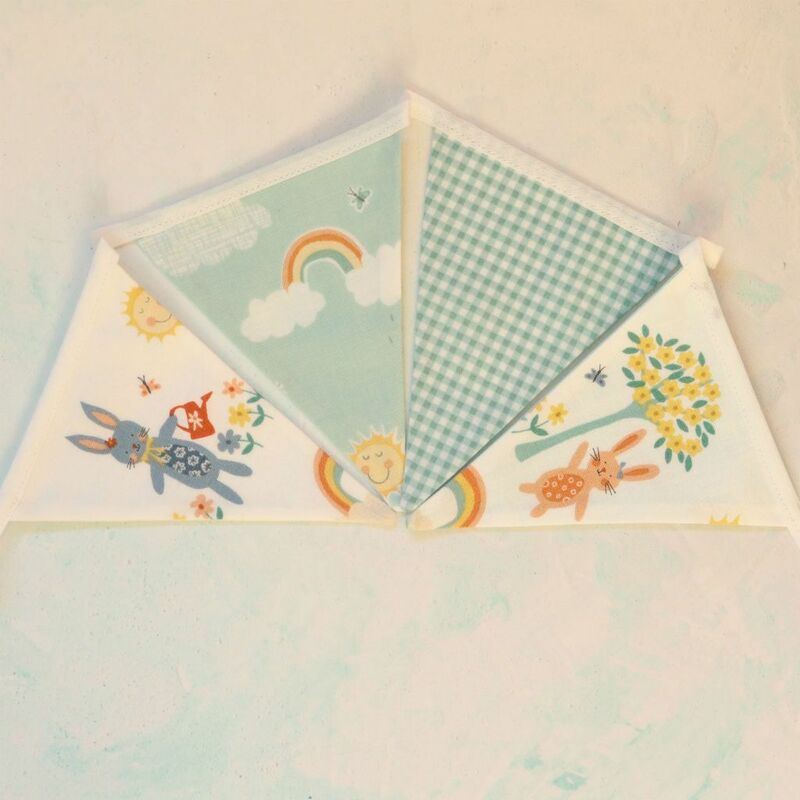 This bunting can be used to decorate any room in your house but would be particularly suited to a nursery, child’s bedroom or a child’s playroom. 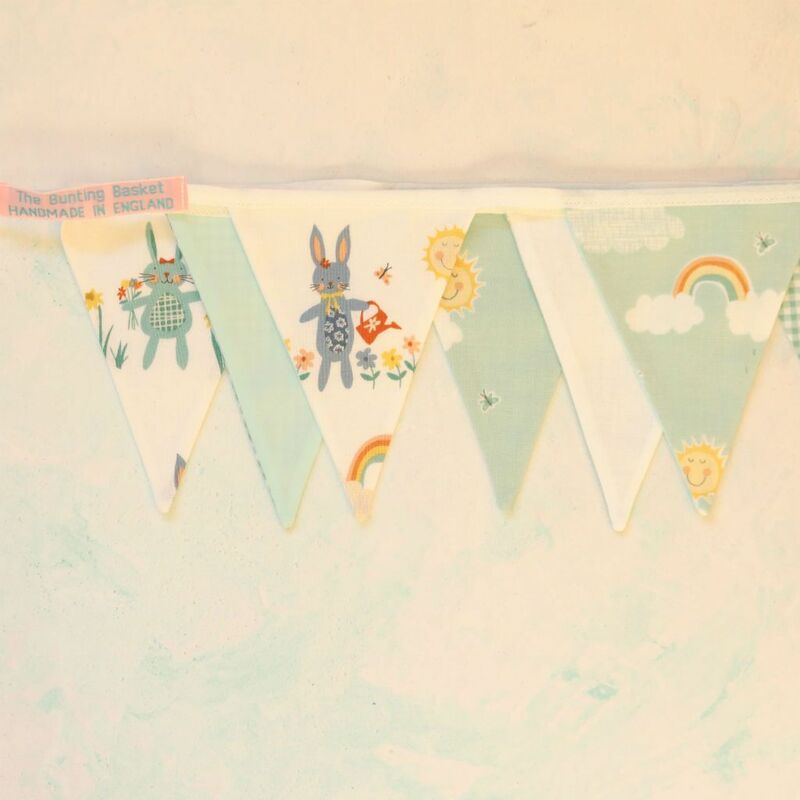 The Rabbits and Rainbows bunting is made from 100% cotton.